Is Congress Ready to Decriminalize Marijuana? The mid-term elections on November 6th brought about some big developments on the U.S. political scene, including major cannabis legislation. Which has many people wondering: is Congress finally ready to decriminalize marijuana at the federal level? This year Michigan became the 10th state to legalize recreational pot use – joining Washington, Colorado, California, Alaska, Oregon, Vermont, Massachusetts, Maine and Nevada. The impact of the Michigan law goes way beyond the borders of the state. 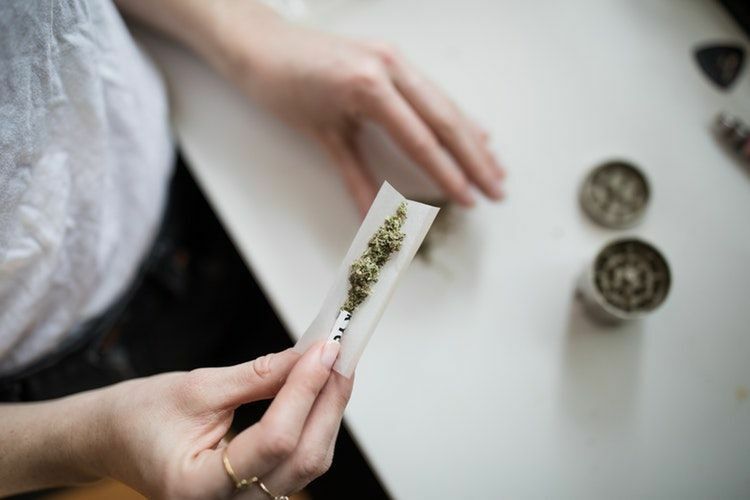 It’s the first state in the mid-west to embrace recreational cannabis, and their success is bound to embolden marijuana advocates throughout the heartland. If legalization can pass there, it stands a good chance in other swing states like Wisconsin, Minnesota, New Hampshire and Ohio. It’s a signal that legalization is beginning to gain mainstream acceptance. What’s more, voters in Missouri and Utah both approved medical marijuana measures this year. Which means that 33 states (more that 60 percent of the country!) now recognize the medicinal properties of cannabis – including some conservative strongholds like Arkansas, Oklahoma and Montana. In 14 of the 17 where weed is outlawed, you can still legally use CBD oil or other extracts with limited THC content. Only 3 states in the entire country (Idaho, South Dakota and Nebraska) prohibit all medicinal use of cannabis whatsoever. In 1970, the U.S. government passed the Controlled Substances Act. The CSA places all controlled substances in one of five categories based on their potential for harm and abuse, as well their known medical use. Marijuana is listed as Schedule I. WTF? First of all, marijuana does not have a high potential for abuse – especially compared to morphine, oxycodone, and meth. (Fun fact: all three of those are listed as Schedule II drugs. According to Uncle Sam, they are less dangerous than pot, and a doctor can prescribe them to you!) Hell, alcohol is far more dangerous and addictive than marijuana, and you can buy it on every corner. Second, “no accepted medical use”? Seriously?! As I explained above, cannabis or cannabis extracts are currently being used to treat patients in 47 out of 50 states. I’d say it has some accepted medical use! This year’s mid-terms also saw the Democrats take control of the House of Representatives, thanks to a wave of newcomers – including the first Native American women and Muslim American women ever elected to Congress. In fact, the 116th Congress is younger, more diverse, and more progressive than any before. Criminal justice reform is definitely on their wish list, including rescheduling and decriminalizing marijuana. Granted, with the Senate and the White House still in Republican hands, most of what Congress might hope to accomplish will end up in deadlock. But with polls showing a majority of Americans in favor of marijuana, this might be one issue both sides of the aisle can agree on. Not to mention former Attorney General Jeff Sessions, a well-known opponent of marijuana legalization, stepped down the day after the election. It remains to be seen who will fill that role, and how they will guide the Justice Department’s enforcement policy. But with Sessions out, perhaps we will see a more compassionate, common sense approach. We can hope, at least. Taken all together, it seems like the U.S. could be on the brink of major drug policy reform. Will this be the year when the will of the people is finally heard? Or will partisan politics sink legalization efforts yet again?